Only 15 minutes’ walk from Grantham’s centre, this elegant Victorian townhouse offers full English breakfasts, free Wi-Fi and free private parking. 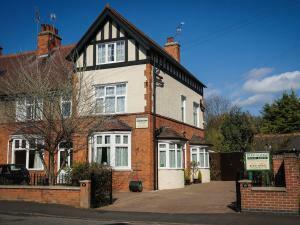 Park Lodge is also just 15 minutes’ walk from Grantham, Rail Station and the historic Grantham House. See all Park Lodge Guest House reviews..